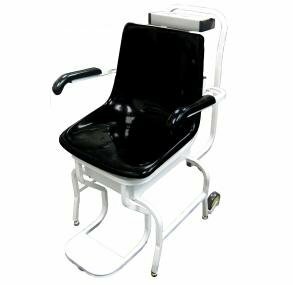 Available with moveable arm and footrest for patient comfort during the weighing process. Ideal for those who cannot stand on a conventional scale and who do not use a wheelchair. Has the capacity to handle up to 600lb (280kg). comes with various functions. Available functions are lb/kg conversion, lb/kg lock out, zero out/tare and auto off.